SureSeal Premium FR 40 (BSHPFRSUR40) is a high-quality dock seal vinyl. This fabric is formulated specifically for fire retardant dock seals that meet an intense scale of FR criteria for California State (CSFM) and NFPA-701. 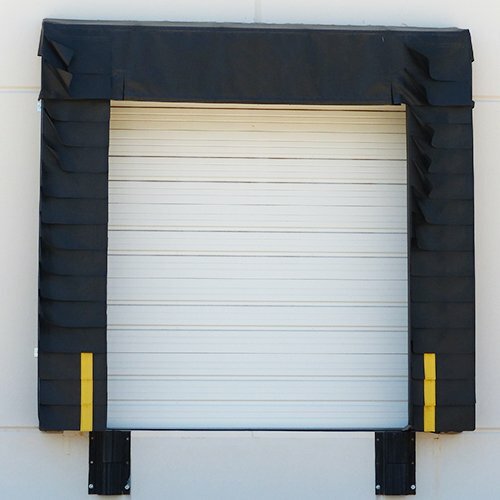 This rugged dock seal vinyl is engineered to have resistance to punctures, resilience to abrasion, and is treated to withstand adverse weather conditions. SureSeal Premium FR 40 dock seal vinyl is designed to endure long-term stress due to its Full Panama construction. The reinforced double-yarn scrim pattern will help stop tears and maximize its longevity.